I’ve always found this study of kids in the Philippines very interesting. It focuses on the question of whether we oversanitize our kids and whether creating a lack of exposure to germs has any long-term effect. It suggests that early encounters with bacteria and microbes may help build a stronger immune system. Other studies have shown that lack of exposure to pathogens early in life can lead to asthma and allergies later. I’m sure their is some line of how much exposure is good, but where is that line? “In the U.S. we have this sort of hyper-sanitary culture, hyper-hygienic environment, with antibacterial soaps everywhere and cleaning products. And we might want to reconsider the application of some of those products,” said Northwestern University anthropologist Thomas McDade, lead author of the recently-published study. “Now for the first time in the history of our species, our bodies are being deprived of exposure to those everyday germs because we live in such a sanitary environment,” McDade said. This makes me think of a few stranges things I’ve seen recently. The first was cicada ice cream. 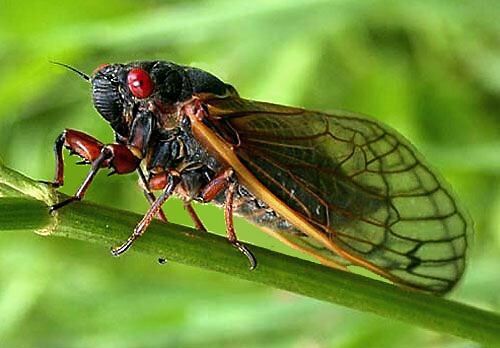 If you don’t know what cicada’s are, they are these large, annoying bugs that come out occassionally. And yesterday, the guy at the “reptile party” that my son was at shared that he had just earned a Guinness Book Of World Records for holding a live scorpion in his mouth for 17 minutes and 17 seconds. Why would someone even try to do that? Will Copay Cards Doom Rebates?